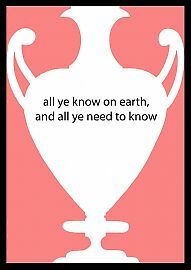 All ye know on earth, and all ye need to know is an artistic reflection on a literary one, a revival of thought processes developed in John Keats’ Ode on a Grecian Urn, and, as such, a contemporary meditation on memory and forgetting. 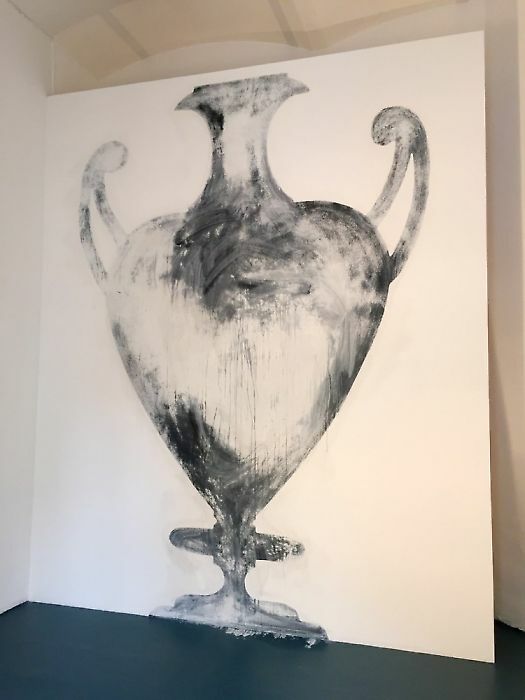 The process of representing an artwork rendered in one medium by an artwork rendered in another is known as ekphrasis; Keats’ poem is a frequently cited example of this formal device, which simultaneously references, recalls, memorializes, and heightens. Through his lyrical description of and musings about the painted urn of his title, he translates and dramatically amplifies the message and meanings of that object. 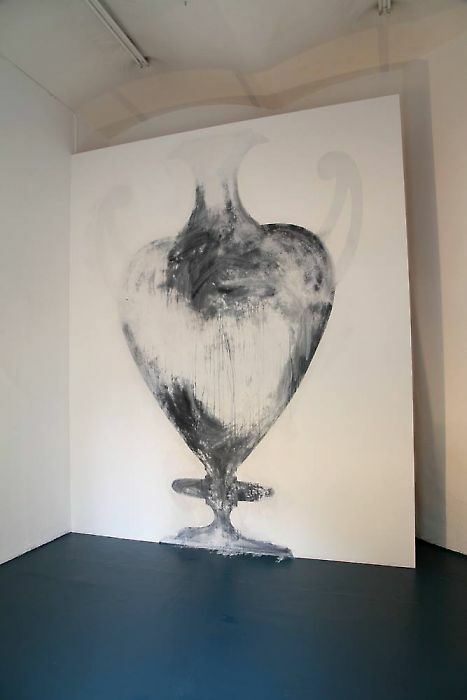 In a similar way, the installation itself revisits Keats’ word-sketch of the urn, addressing his lines afresh not through further narrative, but through visual art all over again. 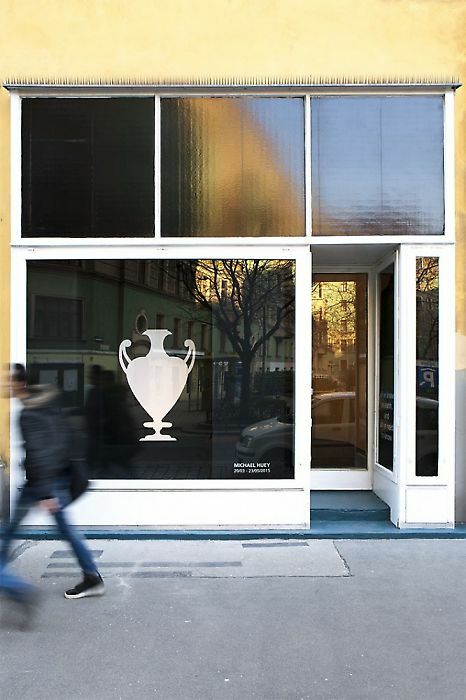 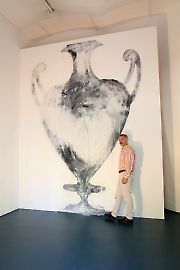 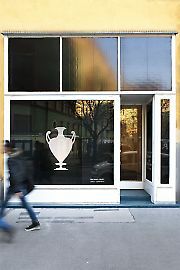 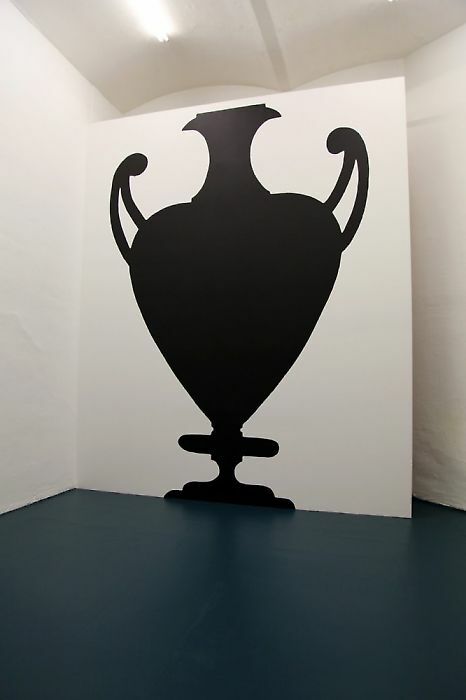 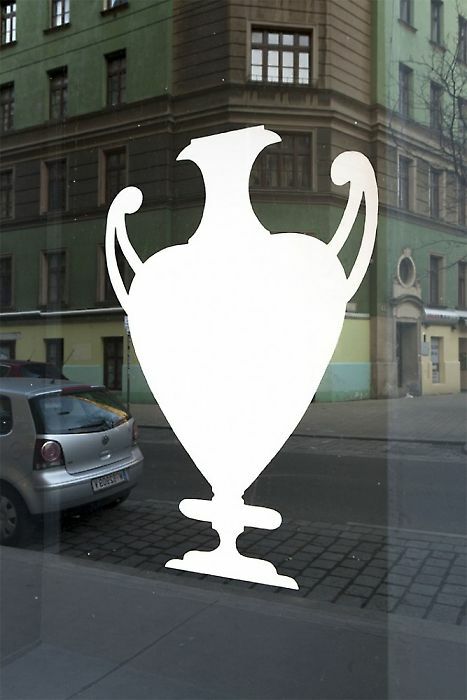 Housed in the Georg Kargl project space ‘Permanent’ as though in a glass-fronted cabinet, the 4 m high silhouette – a ‘painted’ classical urn – heightens, both literally and figuratively, the meanings of Keats’ literary one and its archaic predecessor, even as it takes liberties with these forbears. 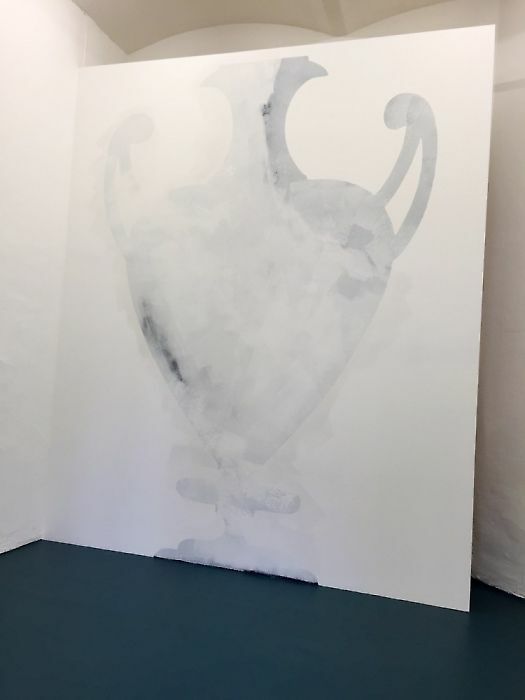 The result – one might call it ‘ekphrasis reloaded’ – relies on the viewer’s memory of Keats’ poem, just as Keats’ poem requires the reader’s memory of ancient art. 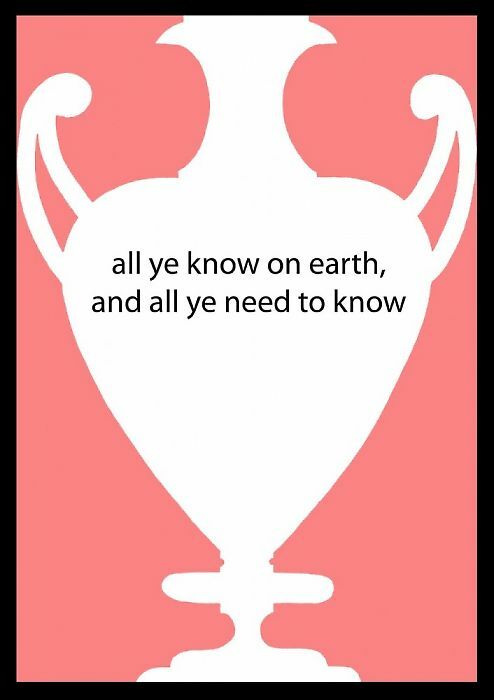 All ye know on earth, and all ye need to know – the title is a fragment from Keats’ verse, which concludes with his controversial statement on beauty – builds a complex chain of things remembered and things forgotten. 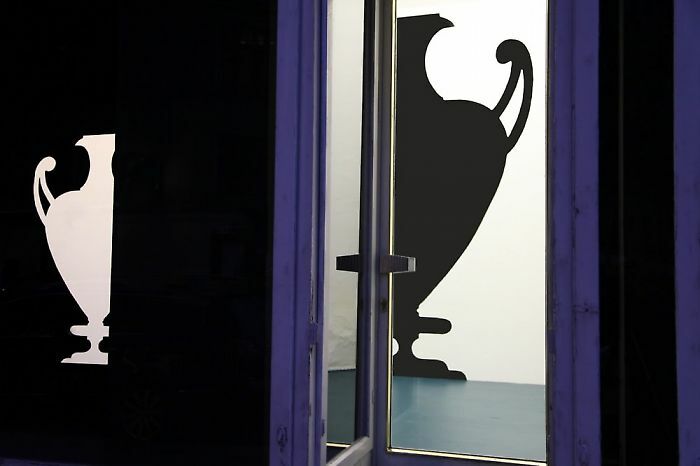 Through the pairing of mutually referential negative and positive silhouettes within the installation, a kind of memory forms in real time in the mind of the viewer: simply put, he sees one vase as a negative shape and, when confronted with a second as a positive, actively recalls the first and seeks to reconcile the two, just as the reader of Keats’ poem must reconcile the ‘real’ vase with the described one. 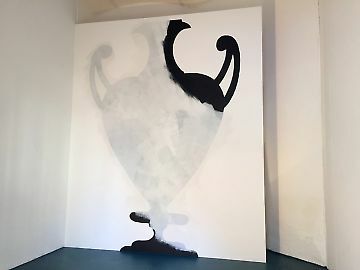 At the same time, the intentionally plain, starkly graphic silhouettes themselves seem to have ‘forgotten’ the supposedly immortal scenes adorning the original urn to which the poet refers; the viewer, meanwhile, may summon them up once again in his mind, projecting them onto these blank prototypical outlines. Apart from these mental memory exercises, the large wall painting will undergo, over the duration of the show, a real-life course of physical erasure and re-instatement. 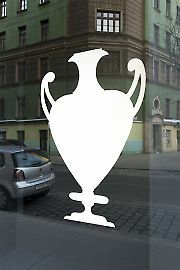 As in the famous parlor game, each rendition will achieve gains while at the same time sustaining losses. 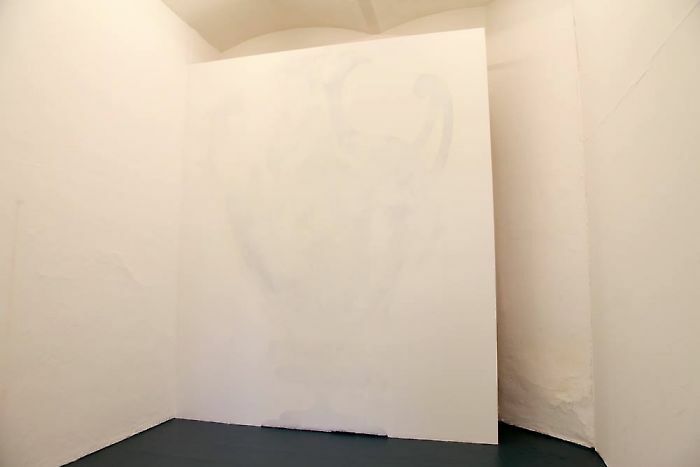 Through this process the artist seeks to provide a visual, archaeological-based commentary on descendance. The Sisyphean task of re-visiting the past again and again lies at the core of Michael Huey’s work and drives its related recurring themes of lineage and legacy; damage and loss; the archive, the inventory, and most specifically, the China Cupboard, which became the subject of an extended series and the title of a 2011 solo show in New York. 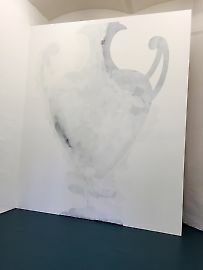 It begs questions of authorship and of the urgent connection, in his work, between the author and the artist.